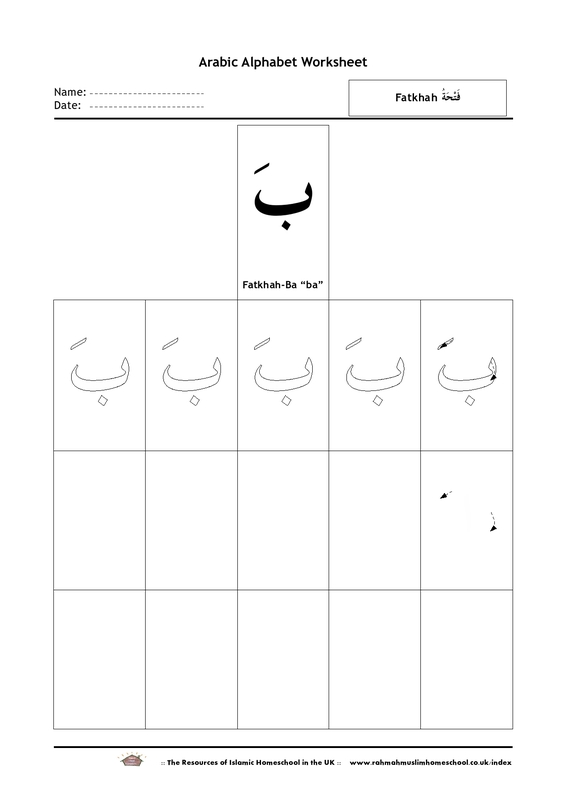 Learn and practice to write Fatkhah Ba “ba” بَ with this worksheet (pdf file). Fatkhah is a small diagonal line placed above a letter and represents a short “a” as in apple. 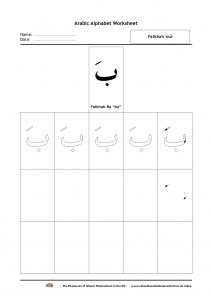 Fatkhah Ba is ba. 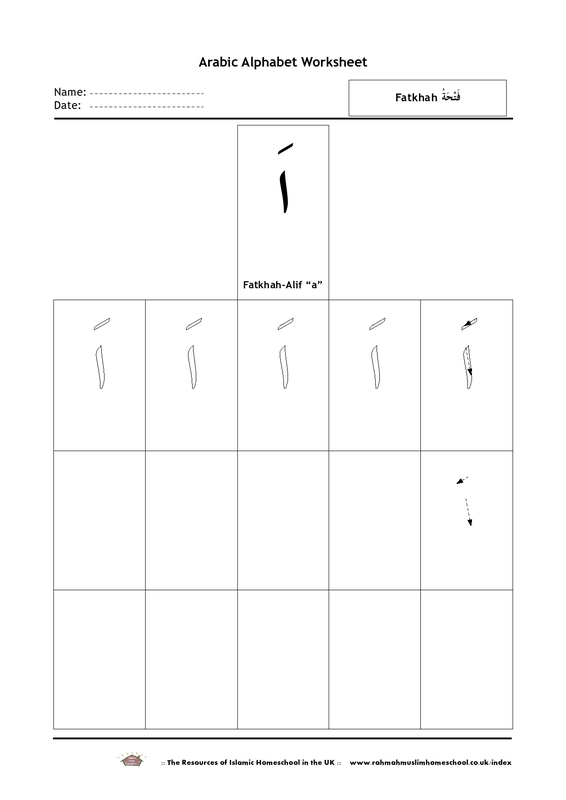 Learn and practice to write Fatkhah-Alif “a” اَ with this worksheet (pdf file).